At Preferred Planning Services, we pride ourselves on being a great resource for families trying to navigate through the complex world of nursing homes, assisted living and in-home care. If you or a loved one has health concerns, been diagnosed with dementia, Alzheimer’s or another debilitating illness, we can help. Our knowledgeable, seasoned team makes it a priority to get you the information you need to move forward in life with confidence. Our team approach to effective retirement planning ensures you and your family are properly protected. Being knowledgeable with more than 30 years in the industry, Preferred Planning Services’ goal is to help families find direction. Our multitude of services work for all seniors, from those needing independent and assisted living to rehabilitation, skilled nursing and memory care. Whatever your needs, they’ll be well taken care of here. Brick and mortar don’t make a place — people do. These people make our office into something more than the sum of its parts. Read about them below! Angela Cline, or Angie as she is known to our clients, is the Assistant to Jim Zifer, the President of Preferred Planning Services. In this role, Angie’s duties range from managing the calendar to ensure our clients get the earliest and most convenient appointment times to preparing and processing claim forms and service requests forms for our clients. Angie also makes sure that Jim has the relevant materials available to provide the top-flight advice our clients have come to expect. Angie believes that the best way to put your plan in place is to have a highly functioning team. That is why Angie put a priority on assisting the other members of the Preferred Planning Services team and Lavin Law Group providing answers to both clients and colleagues. 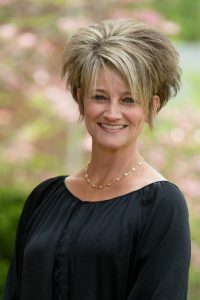 Angie Cline has over twenty years of experience in the field, and has been working with Jim Zifer and Preferred Planning Services for the last 17 years. While she is an expert in her position, Angie is still open to learning new and better ways of helping clients. Angie frequently works with our financial partners to keep up-to-date on the latest innovations in the area. Angie enjoys being outside, whether that is spending time with her friends and family or simply having fun in the sun. Angie lives in Delaware with her two daughters, Taylor and Raygan. Karen Pissocra is the receptionist and seminar coordinator who works with clients of both the Lavin Law Group and Preferred Planning to facilitate communication, appointments, and events so clients can be confident that their needs and wishes are received by the financial and legal professionals in the office. For eight years Karen Pissocra has helped both Preferred Planning and the Lavin Law Group to maintain the front office, including gathering, managing, and disseminating incoming information. Karen is also responsible for arranging and announcing the various seminars that members of the community can attend to learn more about taxes, retirement and estate planning, and other valuable topics. Karen knows that our clients value sensitivity and confidentiality, and our clients know they can rely on Karen to maintain that trust while delivering information and messages to the office professionals. Karen has a keen interest in the concerns of the client and is always working to continue to be worthy of the trust that our clients place in her. When Karen isn’t working, you can find her in her garden or enjoying time with her family and friends. When she was younger, Karen hailed from Winston-Salem, North Carolina, but has called Columbus, Ohio home for the last thirty years. Tammy Sager is a Funding Coordinator with Preferred Planning Services who works with our team to ensure your assets are transferred properly according to your estate plan. To ensure your financial and legal plan is properly put in place, Tammy helps prepare Powers of Attorney, real estate deeds, and works with the multitude of financial institutions to get the correct forms and information to that company for you. Tammy’s work is critical to ensure that your estate plan performs as you expect. Tammy knows that having a plan is good start, but putting the plan into action is how your estate plan really does what you need from it. 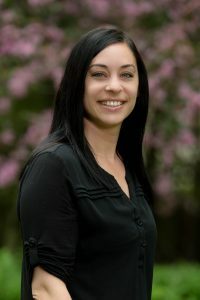 Tammy Sager has five years experience in the legal field and has been with Preferred Planning Services since 2018. Tammy holds a degree in Paralegal Studies, where she was included on the Dean’s List in 2013. 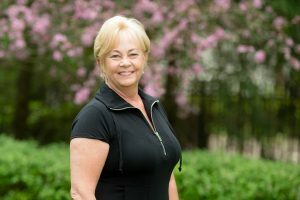 Tammy enjoys various activities outside of work, including reading, cooking, and yoga. Tammy lives in Johnstown with her 3 children, and their pet dog and cat. Preferred Planning Services is thrilled to put our local community at the forefront of our charitable efforts. We are involved with the Walk to End Alzheimer’s and enjoy taking part in events that allow us to continue the conversation about tough issues seniors may face. Hearing insightful stories about how families are affected gives us continuous purpose in our fight to help seniors manage and protect their assets. As a client, you are always our priority. Let’s work together to map out a strategy for a reliable financial future where you and your family can feel comfortable in the stability of the strategy. Jim is the President of Preferred Planning Services, a company specializing in financial planning for seniors. With over 30 years experience in the financial industry, Jim began focusing his efforts towards assisting seniors in protecting and growing their assets in 1996 when he joined Preferred Planning Services. 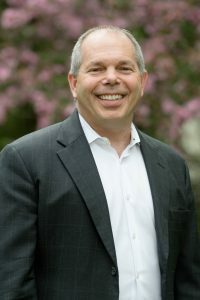 Jim has earned several awards, has been recognized nationally, serves as a consultant with several elder law attorneys across the country, and has earned certification from the Corporation of Long Term Care recognizing his knowledge and expertise with the issues that seniors face. He is an Investment Advisor Representative and holds a license in seven states for life and health insurance. He also has held various licenses over the years so that he can provide more comprehensive financial planning services to his clients. Jim has worked with thousands of families in helping them preserve their assets. He has thorough understanding of the problems we face as we age and knows how to bring innovative financial solutions to solve them. A native of Dover, Ohio, Jim now resides in New Albany. His degree from the University of Cincinnati began his journey towards accounting and finance. He has focused for the past 22 years on a team approach to planning and works with several elder law attorneys with creating a solid plan for seniors. Jim is an avid outdoorsman, gardener, cyclist, fly fisherman and enjoys spending time with his family.